16 Best Zombie Games of All-Time: The Ultimate List (Updated) | Nerd Much? 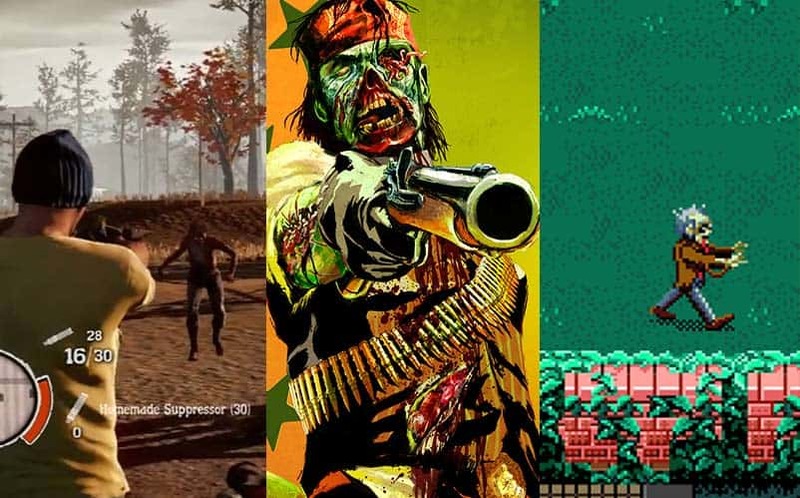 For the past 30 years, there hasn’t been any shortage of zombie games to play. Since the 80s, gamers have been blessed with new zed-killing video game adventures, dating all the way back to The Evil Dead on the Commodore 64. But zombie-slaying didn’t really become big until the early to mid-90s with the release of the SNES, which was home to one of our favorite zombie games of all-time (we’ll talk about which game later on in this list). Now, in 2019, zombies are more popular than ever, thanks to great games, TV series and movies that have been released over the past few decades. We’ve certainly played our fair share of these types of games, so it’s safe to say that we know a thing or two about the genre. In fact, it’s one of our favorite video game genres right now, and we don’t see it dropping down on the list any time soon. Also check out our list of the upcoming zombie games of 2019 & beyond. I feel like no one really played Dead Nation until they bought a PS4 and it was the only game to play, but it’s one of the best top-down twin-stick shooters there is. People probably were feeling a bit fatigued upon the game’s initial release, since it released with Undead Nightmare, Dead Rising 2, and Age of Zombies. It’s okay, I did the same thing, not picking it up until it hit the PS4. In Dead Nation, players fight their way through numerous levels, buying upgrades with money they’ve earned along the way. It’s about fighting your way through waves of the undead, which the zeds being enticed by loud noises, explosions, flares, etc. There are numerous environmental hazards scattered about each level, allowing players to kill the oncoming waves in many ways. It’s a game that involved strategy and actual skill, and the upgrade system was essential, giving players tons of options that allowed them to tailor the game to their own playstyle. 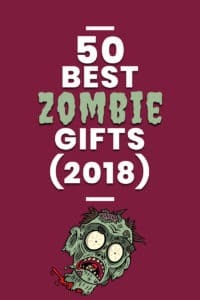 There is also a variety of zombie types, including slow-movers like you’d see in something from George Romero, screamers that make your life miserable, acid spitters, and more. The game environments are very dark and moody, making them the perfect setting for some killing, making it one of the best zombie games PS4 players have to play right now. Gears of War‘s horde more was great, and it certainly set a precedent for fun co-op experiences. So when you take that mode, and mix it with the idea of Left 4 Dead, which has you team up with friends and kill zombies, magic happens. That’s basically what Killing Floor 2 is: GoW‘s horde mode meets zombies. Players will fight waves and waves of zombies until they simply can’t kill any more. In between rounds, players scramble to purchase upgrades from a plethora of choices, including bullet refills, new guns, and body armor. What will you need to survive the next round? Each character takes on whatever role they want to help their team, whether it be a field medic or a support or simply just a gunner. Each character type has their own set of skill boosts, making the formulation of your team just as important as the upgrades you’ll buy in future rounds. 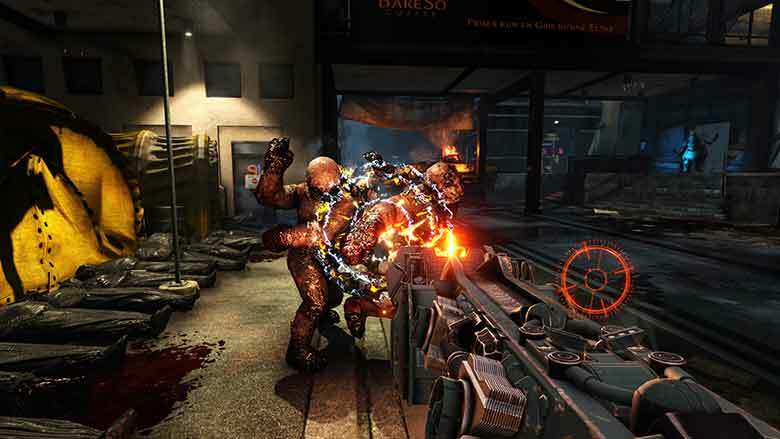 Killing Floor 2 is still in Early Access, and we can’t wait for a full release. But even in its early stages, it’s a zombie slayer’s dream. Nearly 10 years ago, a little Xbox gem by the name of Dead Rising was released, taking the zombie games genre to a new level of action. It’s set in an open world, but you’re all alone, with no other players around you. This means your focus is entirely set on the zeds. 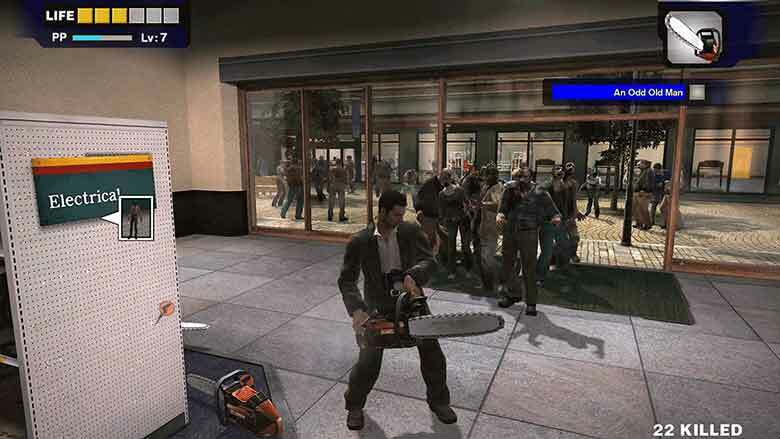 You start out trapped in a shopping mall, controlling Frank West as he fends off hordes and hordes of zombies. You’ll explore the mail, finding any weapons you can (some of which purely exist for comical effect and aren’t very functional) while you level up and gain special abilities. Taking out zombies with a ridiculous toy tennis ball shooter or picking up a cash register to smash in some zombie heads is a gratifying experience, and it’s these ridiculous ways to kill walkers in the game that made it a standout. It went on to spark two sequels, properly named Dead Rising 2 and Dead Rising 3, but the first was and always will be our favorite experience in the series. Now, you may not have been paying attention to They Are Billions, a brilliantly named zombie-themed strategy game that puts players in a randomly generated world with a steampunk aesthetic, tasking players to build the ultimate zombie base. At first glance, it looked gimmicky and a bit mundane, but that couldn’t be further from the truth. The game tasks you with managing eight difference resources like food, gold, workers, etc a la Age of Empires or The Universim (also recommend, by the way), but you’ll have to do so while fending off oncoming zeds of varying types. Finding ways to keep your base growing while fending off those massive hordes is a lot of fun, and things get crazy, with thousands and thousands of zombies on screen at once. And for that reason, They Are Billions is on our list of the best zombie games of all-time. State of Decay was a unique zombie experience that originally felt short on content. It was undeniably a fun experience though, feeling like a mix of GTA meets Dead Rising. Players are tasked with building their community and a base to protect themselves against oncoming hordes of zombies, and recruiting new characters was a lot of fun. But once the State of Decay: Year-One Survival Edition dropped on Xbox One and PC, containing a fully remastered edition in 1080p and all of the original DLC, the experience felt like a fully fleshed out idea (and there aren’t nearly as many glitches). Clearing out gas stations, farms and houses to scavenge for guns, food and ammo was a thrill, especially when you accidentally made too much noise and attracted a horde of zombies from which you’d have to try to escape from. 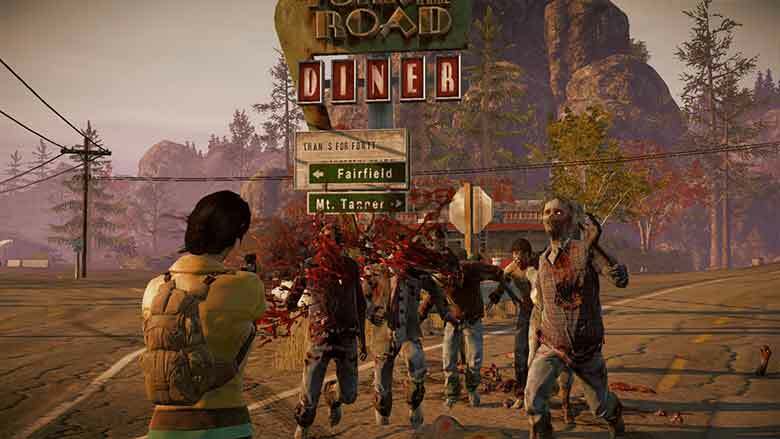 We can’t help but want more from State of Decay, especially since the original plan was to make it into a zombie MMO. But for what it is, a single player campaign, there’s tons of zombies to kill, unique ways to kill them, and fun to be had. Luckily, State of Decay 2 is coming soon, and we’re hoping that it takes zombie survival games to an entirely new level. Buy State of Decay: Year-One Survival Edition here. Killing zombies is usually fun, but killing zombies with a friend or two is so much better. This is why Left 4 Dead is such a popular franchise, and it’s why we absolutely loved the online zombie killing experience that is Left 4 Dead 2. Believe it or not, it has already been nearly seven years since we first got a taste of the highly anticipated sequel, and it’s still a co-op zombie-slaying experience that hasn’t been beaten, even with the slew of zombie games that have hit the market since. The fear of happening upon the shriek of a witch zombie is unrivaled to this day. And, there was a great deal of variety in the enemy types that you were facing. Boomers, hunters, smokers, tanks, jockeys, and other enemy types were all tough, and they all required teamwork and know-how to survive. It was the collaboration required in taking these enemies down that made Left 4 Dead 2 such a great game, and it’s why I’m on the edge of my seat waiting for Valve to announce a Left 4 Dead 3. 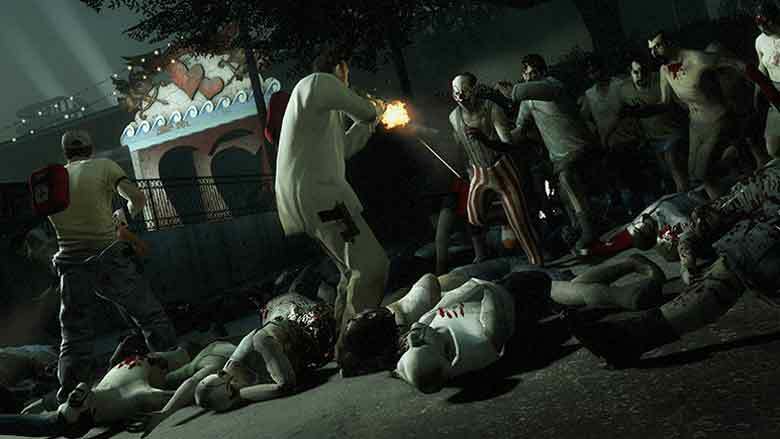 For now, Left 4 Dead 2 remains one of the best online multiplayer zombie games to date. Buy Left 4 Dead 2 here. Release Date: Season 1 debuted April 2012. Ongoing. How about a zombie game that tugs at the heart strings? Telltale Games’ The Walking Dead certainly does just that, creating tension, fear, and excitement along the way. The story is set in the same world as the comic book series by Robert Kirkman, and it follows Lee Everett who attempts to rescue and care for Clementine, a young girl he finds in his journeys. 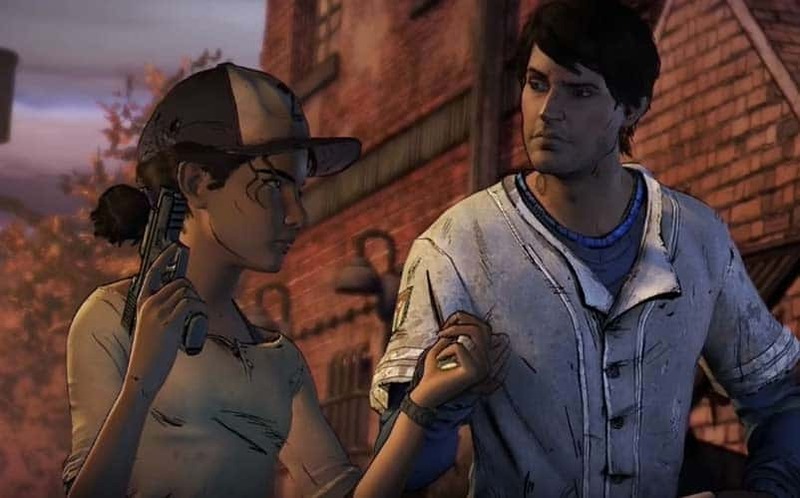 Eventually, the game morphs into Clementine’s tale, and the entire game is filled with unique characters and ideas. What’s more, players make numerous choices throughout each chapter that changes the outcome of the story and helps to shape future chapters. We’re deeply engrossed in Clementine’s tale, and we’ve never cared so much about a video game character in our lives. For this reason, we consider Telltale’s The Walking Dead to be one of the best zombie games of all-time. If you didn’t take your weekly allowance in quarters, you simply weren’t doing childhood right! The House of the Dead is one of the greatest arcade games ever made, and it certainly ate its fair share of my quarters. It’s a rail shooter light gun game that tasked players with aiming at and shooting zombies that were created by a mad scientist. But you weren’t there for the story — no, you were there to pick up that sweet, sweet red hand gun and shoot some zeds. It was simple, mindless fun that was just that — fun. 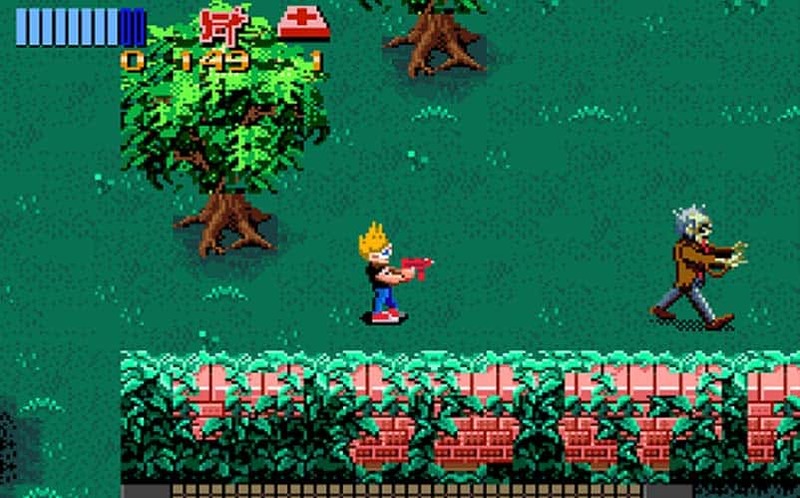 It was an arcade game that gave you a sense of accomplishment as you progressed, and as a kid, you felt like an absolute badass using the guns. Of course, it later came out on PC, but it simply isn’t the same experience when pointing and clicking with a mouse. You’re crazy if you don’t like DayZ (sorry, couldn’t resist). 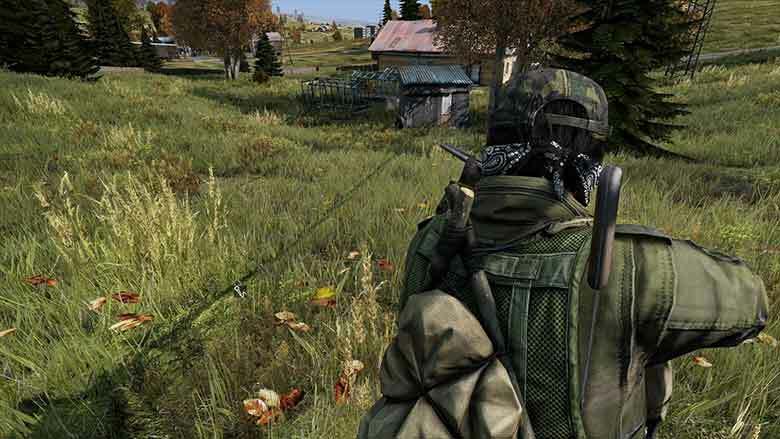 For a game that started out as a measly Arma mod, the standalone version of DayZ has grown a massive following on Steam. It’s set in an open world, in which you attempt to survive not only against zombies, but other players as well. You’re scavenging, crafting, and tactically traversing the landscape to find better guns, food, clothing and more. There have been many games like it since (including the ultimately failed War Z clone and H1Z1), but DayZ is still leading the bunch. In fact, it has sold over 3 million copies as of January 2015, despite the fact that it’s still just a barebones experience. But what makes it one of the best zombie games of all-time is its surprise zombie horde attacks that can strike at any time, something that H1Z1 has still not been able to replicate. In fact, you can happen upon a field of a hundred zombies at random, so you always have to be careful when you’re running around in the world. The full version of the game is still currently slated for some time in 2016, although we have yet to hear an update on that front. Likely, the release date will be officially announced on-stage during one of the E3 2016 press conferences. When it was first announced, I fully wrote off Dying Light as a bad idea. Parkour + zombies? Get out of here! But it just so happened that Dying Light released in the month of January, when there is typically no other games to play. For that reason, I picked it up and gave it a shot, and it’s now one of my favorite zombie games ever made. I think that’s what made the game originally so successful — the fact that it released in January and there wasn’t anything else new to play. And there were some moments in game that made you think, too. It wasn’t just another easy zombie game, which is one of the reasons it was so great. In fact, I remember streaming the game live on Twitch for a few hours after it had just released, and I was stuck under a bridge at a certain point, trying to figure out how to get to where I needed to go. I was there for an hour, scratching my head, trying different things, and then finally, someone in the Twitch chat told me what to do. Mission complete! But it’s this kind of thought-provoking and challenging experience that you don’t typically get in a zombie game. And now, of course, there’s The Following DLC, which adds drivable dirt buggies that you can customize with special weapons and attachments. So, there’s that. On top of that, Dying Light just recently added its own battle royale mode that you HAVE to play. Call of Duty: World at War was a great game on its own, without factoring in the reason that it’s on this list: Nazi Zombies. The game puts 1 to 4 players up against wave after wave of zombies, tasking players with staying alive for as many rounds as they possibly can (my high: level 37). As the game progresses, each new wave is more difficult and has more zombies, each of which is trying to break in through the windows to get a piece of that sweet, sweet human flesh of yours. It’s an incredible zombie-killing experience, and it will have you and three of your friends prepared for the zombie apocalypse in no-time. 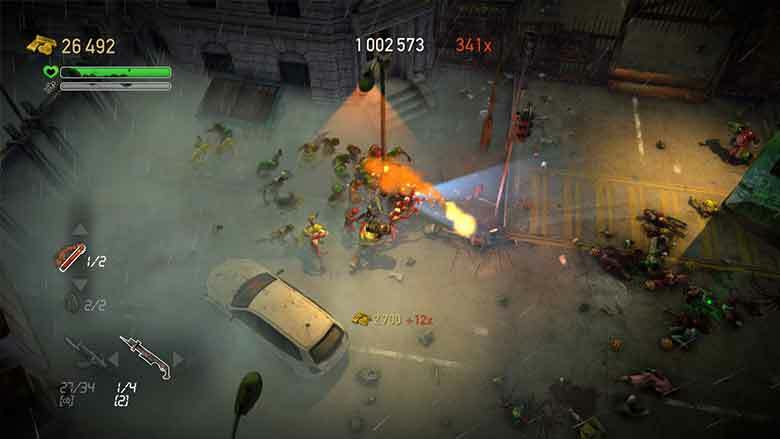 The game was highly reviewed, and it eventually became one of the Xbox 360 Platinum Hits. Killing Nazis has never felt so good. Buy Call of Duty: World at War here. Remember when Capcom actually knew their fans and created great games? In 1996, they released one of the most notable zombie games of all-time, Resident Evil, which took some inspiration from Alone in the Dark. It defined the survival horror genre, and would later go on to spawn numerous sequels. But the original game is undeniably the best, as it was unlike anything else at the time. You find yourself trapped in a mega-size mansion that’s filled with dangerous mutations and zombies aplenty. I remember in one instance during the game, you walk into a room to find a zombie munching away at a corpse, only to hear you and slowly turn around and give you the mindless, brain-craving stare. For its time, it was one of the most terrifying moments in video games. And, the game was filled with memorable moments like these, and whether you played through as Chris or as Jill, you were in for a terrifying experience. You know what makes a great game even better? Zombies, obviously. Again, Red Dead Redemption from Rockstar Games was a great game in its own right, bringing gamers back to the old west in an open world setting. It felt like GTA meets a western, and it is an incredible game. But once its DLC came out, called Undead Nightmare, we couldn’t put it down. The DLC injected zombies into the western (making it a zombie western…subgenre…count it). In the game, you’re able to hunt various zombie animals, as well as mythical creatures like a unicorn. It had its own horde mode in the form of “Undead Overrun,” which allowed you and three friends to team up for some zombie wave killing fun. Undead Nightmare is an ode to B-movie zombie films, and it comes with a set of all new cutscenes with great voice work from the original actors. There is a wide variety of undead enemies in the game, including runners, bit fat, jiggly ones, poisonous ones, and ones that crawl on the ground on all fours (they’re super weird, guys). Surviving in a zombie western is absolutely as much fun as it sounds, and hopefully we’ll see Rockstar do something similar with Red Read Redemption 2 when it drops. 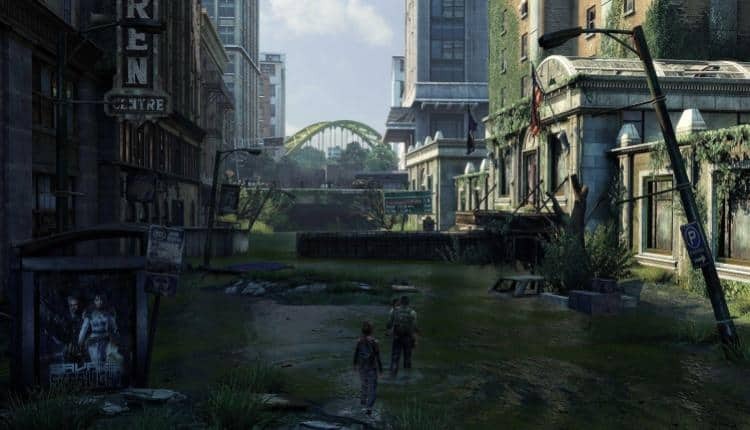 There hasn’t been a video game story that has matched the quality in Naughty Dog’s The Last of Us, and I’m not just referring to zombie games, either. TLOU is an absolute necessity for gamers, as it’s one of the rare complete package games. It has great visuals, great voice acting, great gameplay, and an incredible harrowing story. In fact, it frequently sees comparisons to Cormac McCarthy’s The Road (a novel that we consider to be one of the best post apocalyptic books of all-time). It’s one of the rare video game narratives that have been well-done, as it never slows down to catch its breath. While Joel is considered to be the main character of this tale set in a zombie apocalypse, it’s his new companion, a young girl named Ellie, who steals the show. But let’s not forget that, at its core, The Last of Us is essentially a zombie game. The Infected, as their called in-game, attack with complete abandon and every intention of biting your face off. Fighting the various enemy types is a terrifying experience, and if you can make it to the end of the story, The Last of Us is a game that is going to stick with you for years. Buy the Last of Us Remastered here. 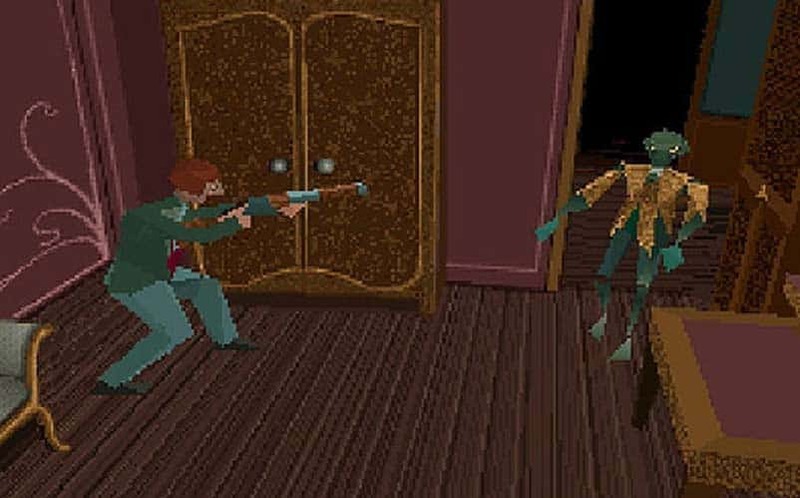 Alone in the Dark’s story places you in a mansion, tasking you (a paranormal investigator) with uncovering the reason behind a man’s mysterious suicide (or just to find a piano in the attic). But, mostly, the plot is ignored, and you’re there for the scares. But it was based on H.P. Lovecraft stories, taking inspiration from those, so you know the resulting game was entirely unsettling. For its time, the graphics were incredibly impressive. Of course, if you look at it now, it looks like hot garbage (you know, nearly 25 years later). But it was more than just the impressive graphics that stole our heart when we actually played it years after its release. Trying to escape from the now haunted manor filled with zombies, ghostly armor suits, a scary tree, and more was a thrilling adventure. It was the first great survival horror game, and many of today’s games owe it all to Alone in the Dark. The game went on to influence many games that followed, including Resident Evil (as we mentioned above). It’d be impossible to craft a list of the best zombie games without mentioning the one that started it all. We’re talking about the classic SNES and Genesis gem, Zombies Ate My Neighbors. We actually streamed Zombies Ate My Neighbors over the weekend on our official Twitch, and it was easily the highlight of our day. In the game, you and a friend team-up as Julia and Zeke to take on various maze-esque levels in an effort to save humans (babies and cheerleaders, mostly) from the zombie infestation. Oddly enough, you’re not only fighting zombies, but also axe babies, football players, martians, mummies and an incredible difficult giant baby, to name a few key enemies. It’s quirky and campy, and there’s a lot to love about this classic zombie-killing game. It was a zombie game that had a different tone than the zombie movies and novels that came before it, which is mostly what made it so enjoyable. You can buy a copy of the original SNES cartridge for around $50 via Amazon, but expect to pay upwards of $250 for a brand new, sealed copy. What’s YOUR favorite zombie game of all-time? Sound off in the comments below — we’d love to hear from our readers!